Our living room has always been a work in progress. It's on the smaller side yet it's one of the rooms we use the most. Ultimately though it needs to be low maintenance and comfortable for all family members. I'm still in the process of achieving the right amount of cozy and style, considering the kids and the adults who use it. 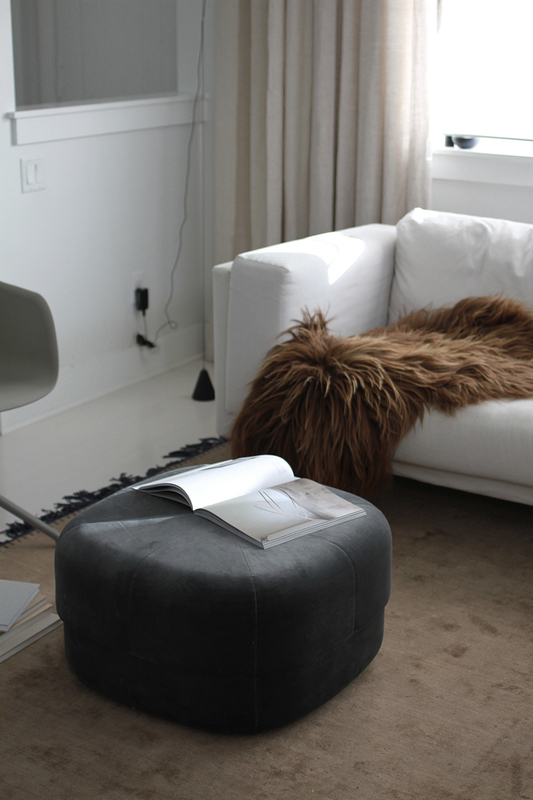 You've seen me talk about this pouf before, called Circus Pouf from Normann Copenhagen, designed by Simon Legald, and it's been a piece I've thought about adding it to the living room for months. We now have this lovely piece in our living room and I've grown to appreciate it more and more as it's become a part of our home. The velour fabric makes it so soft and comforting but the firm structure allows it to serve as an ottoman, table and extra seating. With kids in the house it's nice to have pieces that can be chameleons, adapting to what we need when we need it. During the day the kids like to sit on it but in the evening it's another place to hold books, then pulling it near the sofa it's a place to prop up your feet. Maybe we will get another, I think two of these would be nice as everyone in the house seems to want to use it in some way. In the sunlight the velour looks multidimensional, showing the dark or light sides of the fabric's nap. 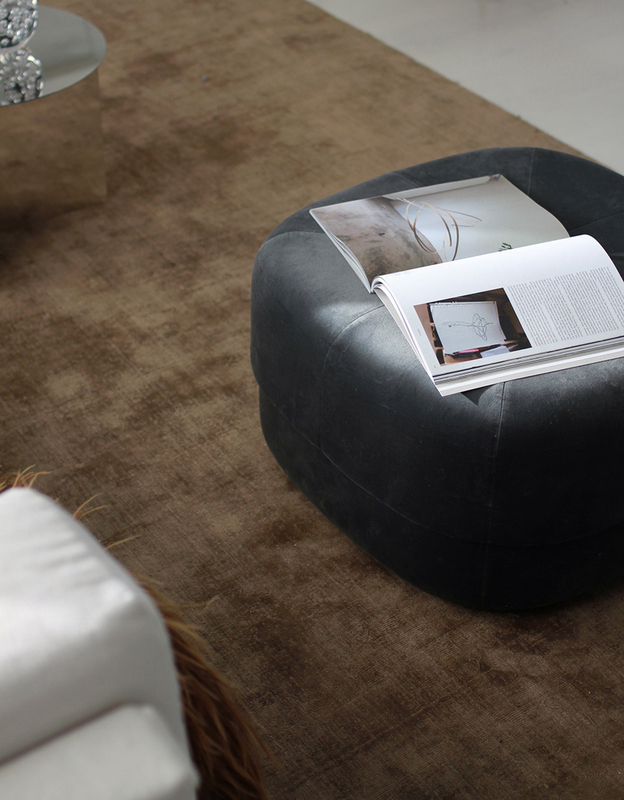 The rounded shape and subtle top panels are meant to be a modern interpretation to a Moroccan leather pouf. Circus Pouf is available in several dark shades, adding a bit of refined comfort wherever it is used. Really nice. Is it the dark blue or grey? Where is your LR rug from? It's fantastic! Where is the brown rug from?